An online petition (to be sent to AsiaNews, or directly to the President of Pakistan) for the revocation of the death sentence for a Christian woman sentenced to hang for blasphemy. But we are also asking for the cancellation or overhaul of the blasphemy law, which is destroying harmony and development in Pakistan. Our campaign is one of many being launched in Italy (with Tv2000), Pakistan, India and the United States. Asia Bibi, a Christian woman of 45, mother of five children, was sentenced to death for blasphemy on November 7 last. A Punjab court in ruled that the woman, a farm worker, offended the Prophet Mohammed. But in reality, Asia Bibi was first insulted as "impure" (because not-Islamic), then forced to defend her Christian faith in the face of pressure from other Muslim labourers. The husband of one of them, the local imam, decided to launch charges and denounce the woman, who was first beaten, then imprisoned and finally, after one year, sentenced to death. Asia Bibi and her husband Ashiq Masih have decided to appeal to overturn the ruling. Meanwhile, the mother now faces months of imprisonment at the mercy of prison guards or some fanatic who could kill her under the misguided belief that he is giving glory to Allah. Up until now, the blasphemy law had not led to an execution of any accused or convicted. But 33 people charged with blasphemy were killed in prison by guards, or in the vicinity of the court. The latest such case involved two Protestant Christians, Pastor Emmanuel and his brother Rashid Sajjad, shot at point blank range as they left the court in Faisalabad on 19 July. 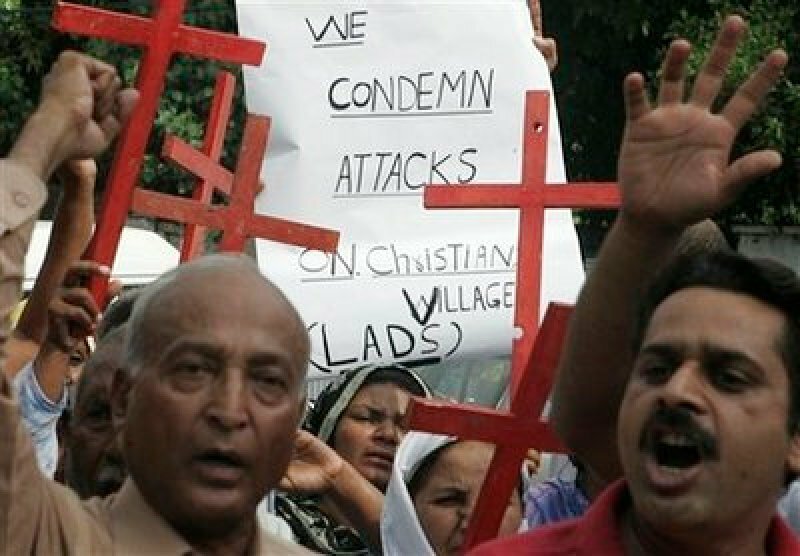 However we can group these deaths with those killed in the massacres of entire villages, in Gojra, Korian, Kasur, Sangla Hill, where hundreds of houses belonging to Christians were burned and where women and children were killed or burned alive, just because one member of the village had been accused of blasphemy. It is now startlingly clear that this law has become a tool in the hands of fundamentalists that pit Muslims against Christians in order to measure the extent of their power over Pakistani society. It is also clear that almost all the accusations of blasphemy are born from envy, revenge, competition, and that the arrest of the accused is but the first step to allow the expropriation of land, looting and theft. We desperately want to save Asia Bibi. But we can not content ourselves with this alone. We must strive so that this law, defined by the Pakistanis themselves as "obscene", is changed or better yet, revoked. It was desired by the dictator Zia ul-Haq in 86, in exchange for the Islamic community’s support. But in doing so he laid the foundation for the destruction of Pakistan. This country, founded as a secular republic and neutral toward religion, has become an Islamic state that kills its own people, destroys its own social fabric and is of major concern to the international community. The blasphemy law has become a sword of Damocles over every person’s head and especially those belonging to minorities, who are paying dearly; Christians, Ahmadis, Hindus, Muslims but also Shiites and Sunnis. By eliminating this law - or at least curbing it – new impetus will be given to interfaith coexistence in Pakistan, to democracy and development. This will also give greater breadth to security and the international community, which views the spread of Taliban rule in a country that has nuclear weapons with concern. We believe that the only bulwark to the growth of fundamentalism is to ensure equal coexistence between Christians and Muslims. For this reason we ask for the life of Asia Bibi to be saved. And with this we ask, we hope that Pakistan may also be saved.